Our little flower farm had even smaller beginnings on a 20ft balcony in the west end of Toronto. Having both grown up in the county Nate and Natasha wanted to create an outdoor retreat for themselves in the city. They cultivated an herb garden, a collection of colourful annuals and perennials, a fig tree and a selection of flowering vines all in galvanized buckets and pots. The next move allowed them to expand their balcony garden to a series of large flower beds used as a cutting garden to support Natasha’s wedding floral design business, Floramère. All while dreaming of the day where they could expand on their learned experience to farm like proportions. Floramère Flower Farm is now located on a richly diverse five-acre farm in Ruthven, Ontario. Surrounded by apple and peach orchards, Floramère is committed to supplying unique, sustainably grown flowers to the communities found within Essex County. Natasha was raised by both a pilot and a nurse. So she loves adventure and has a nurturing heart. Her first love was the Fox from Disney's Robin Hood (which might explain why she married a chivalrous redhead). Her passion for flowers was nurtured from an early age by her grandmother, who was also a florist. No matter the season, she spent the majority of her time outside with her grandmother/nature guide and floral mentor. It was during these formative years that Natasha cultivated a true love and lifelong passion for the natural world. Having always been a very visual person, Natasha studied fine art and art history at McMaster university. She then worked as a graphic designer, implementing the elements and principles of design with each project before taking the professional leap to floral design. With bravery comes great things and for Natasha, mustering the courage to leave the 9-5 life of a graphic designer to pursue her floral dreams, was the first step! She cleaned grimy buckets and swept mucky floors to get her foot in the door and learn from the pros. 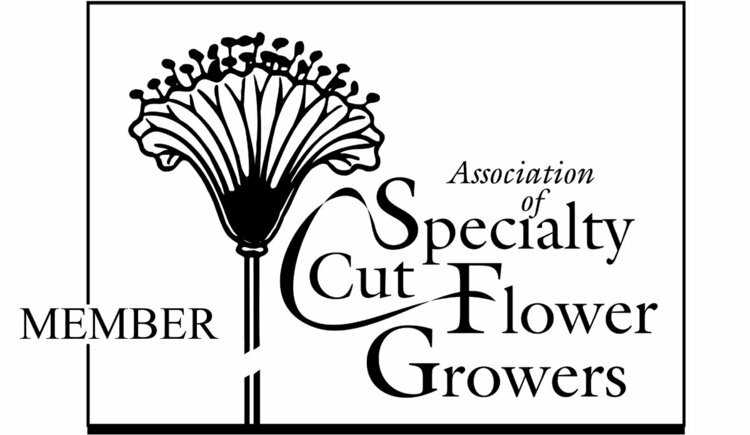 A necessary and irreplaceable step in her floral education. 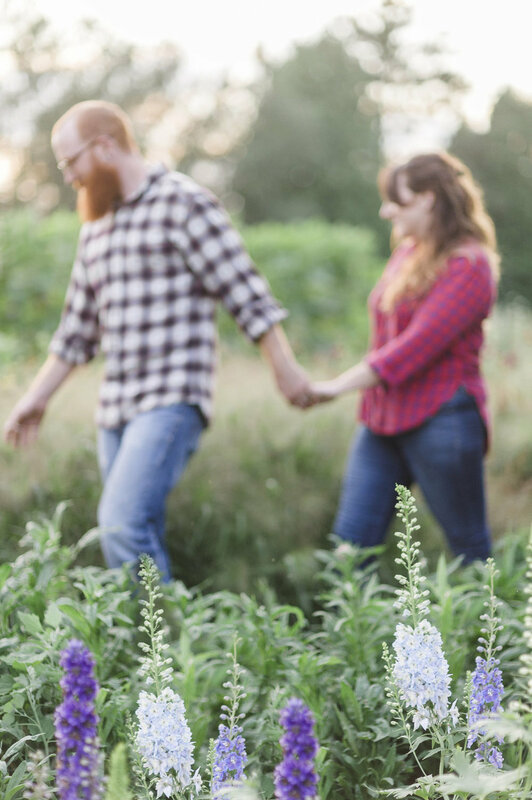 Natasha continues to grow as a designer, building upon her skills and experience by attending floral design workshops, like the Wildflower Seasonal Floral Intensive by Floret Flower Farm and connecting with fellow flower farmers around the world. Focused on building her floral design practice around seasonally inspired flowers and foliage, Natasha is constantly on the lookout for highly fragrant, delicate and unique blooms to fill her fields and hopefully your home and event with as well. Floramère Flower Farm is owned and operated by Natasha. Nate's parents have always been avid wilderness explorers and instilled a love of nature in their children from an early age. Having taken Nate on his first camping trip at 6 weeks old, he's been an outdoorsman ever since! By day, Nate is a Geotechnical Engineer, conducting subsurface investigations and conquering soil destabilization. When he's not mending a leaky mine or saving a sinking building, he's constructing flower beds, laying irrigation, amending soil and providing constant encouragement. If you dream something up, Nate will always respond with a cheerful "We can do that!". He is the backbone of Floramère! A native of Ruthven, Ontario, Nate is enjoying reconnecting with the community he grew up in and canoeing at Point Peele National Park. Grey manages our wellness and is constantly encouraging self care. If he's not sleeping in the sweltering barn attic, he's shadowing us in the field. Gently suggesting we pause for a snuggle, chin scratch and to give him a treat!